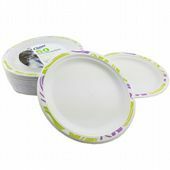 High quality Chinet disposable Plates and Cups, manufactured in Norway using fully renewable sources and are 100% compostable and biodegradable. Ideal for outside catering, take-aways, parties etc and suitable for hot or cold food and drinks. 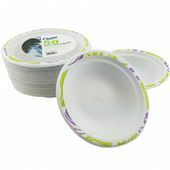 Suitable for microwave use so can be used to reheat food. 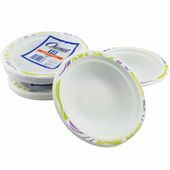 Chinet are one of the best disposable products manufactured, strong, well insulated and wont leak greasy foods unlike some paper plates. 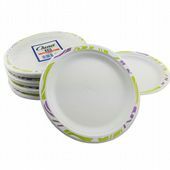 Stays rigid after using in microwave unlike plastic plates and doesnt melt when used with hot foods unlike foam plates. Stack efficiently and compactly so take up less storage space.